"It's coming back to me now." Harvey Wolintz fell on his wrist playing tennis, and he hadn't been back to the court since. 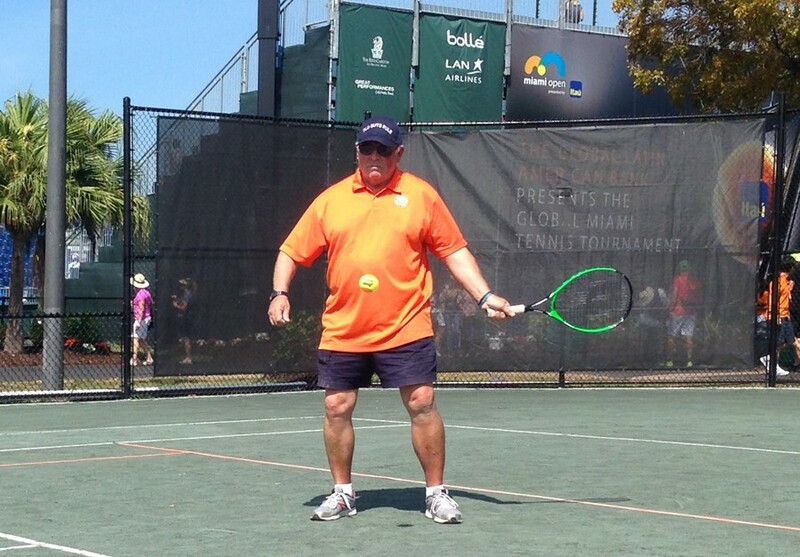 But on Wednesday at the Miami Open, the Miami senior citizen was out on the court in jeans and sneakers, beginning a possible return to the game on a shorter court with modified equipment. "I broke my wrist years back then I stopped," he said. "I hadn't been on a court since then." The USTA Florida Masters Tennis format turns a regulation 78-foot court into a 60-foot court that is easier to cover, and uses the easier-to-control "orange ball." With the format players can use smaller, easier-to-control racquets or their regular racquets. "I think it's a good idea," Wolintz says. "It can get people back into the game." Whole families took to the court on March 25 at the Miami Open as part of USTA Florida's week-long series of Kids Days, Masters Tennis Day, Tenis para Todos (Tennis for Everyone), and other play opportunities. The Masters Tennis format is for players returning to the game, and also great for players new to the game, or for players who struggle with injuries or issues that do not let them play full-court tennis. 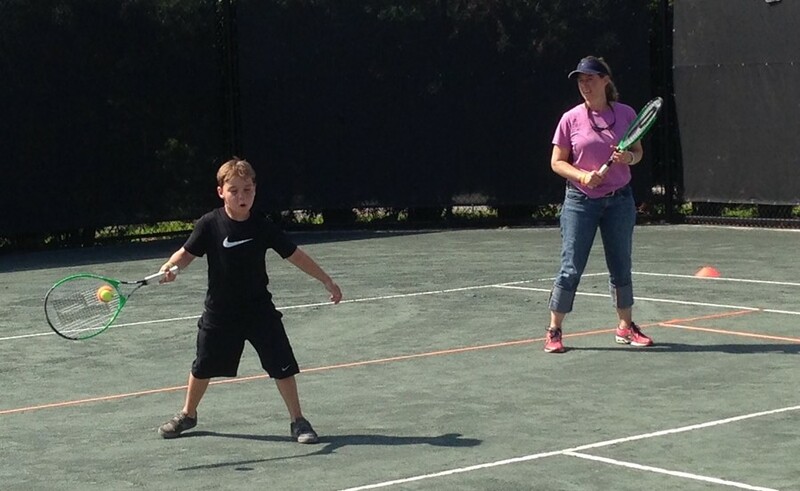 "There's always a way for people to play tennis, and people any age or skill level now has the ability, through the short-court format, to play for their entire lives," said USTA Florida Masters Tennis Coordinator Christine Murphy, who is overseeing Masters Tennis programs across the state of Florida. Wednesday at the Miami Open saw players young and older, family members both experienced and new to the game on more equal footing with the fun Masters Tennis format. "I like it because we can play together," said 10-year-old Mark Meister, a self-described "player" hitting with his mother. "She doesn't play a lot like me but at this we can play and rally the ball for a long time." 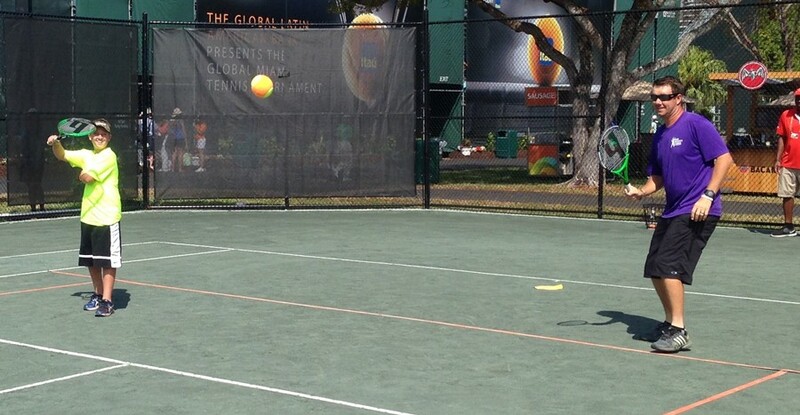 For more information on Masters Tennis or programs in Florida go to www.ustaflorida.com/adulttennis/masters-tennis.